The plant layout a few years before I arrived. I spent many years in all of these buildings at one time or another! McDonnell Aircraft was the subcontractor for the F-111 Crew Emergency Escape Capsule. This is a nice photo of the sled test article. More of the wonderful MDC lithographs! More photos from the MDC assembly line! Selected pages from the July 1958 F4H-1P photo recon proposal by McDonnell Aircraft to the US Navy. An interesting look at the early attempt to provide a recon aircraft from the F-4A. Note the “Night Photo Terrain Lighting Pod”. More under the sign photos. In addition to photographing all new MDC products under the MDC sign, many photos were taken of the aircraft flying over the St. Louis, Mo landmark Arch. Here are a few of those photos. A nice set of early short speedbrake F-15 drawings with markings and fuselage cuts by Bob Pukala and Capt. Mike Byers. In 1970, McDonnell Douglas issued a 50th year booklet with history and accomplishments. In the 1960’s, McDonnell issued this wonderful set of large F-4 lithographs of different F-4’s and from various countries. Enjoy! This is the third Phantom II produced by McDonnell, as an YF4H-1, this aircraft was at first designated F4H-1F and later as the F-4A. In the early to mid 1960’s, it was assigned to the General Electric company for J-79 development work. It is now at the National Museum of the Marine Corps. A US Navy photo. Note all the F-101 assembly in the background. A photo miscellany of naval aircraft from my archives. This was another article that I wrote for the McDonnell Scale Modelers’ Club magazine “Phantom Flyer”. My 1988 invite to Salute the 30th Anniversary of the First Flight of the F-4 Phantom II held at the I31st Tactical Fighter Wing 0f the Missouri Air National Guard. Plus the Product Support article and photo of the 30th anniversary aircraft over the arch! I ran across these five photos of the J-79 engines installed in F-4E No. 483 and up. Nice close-ups! 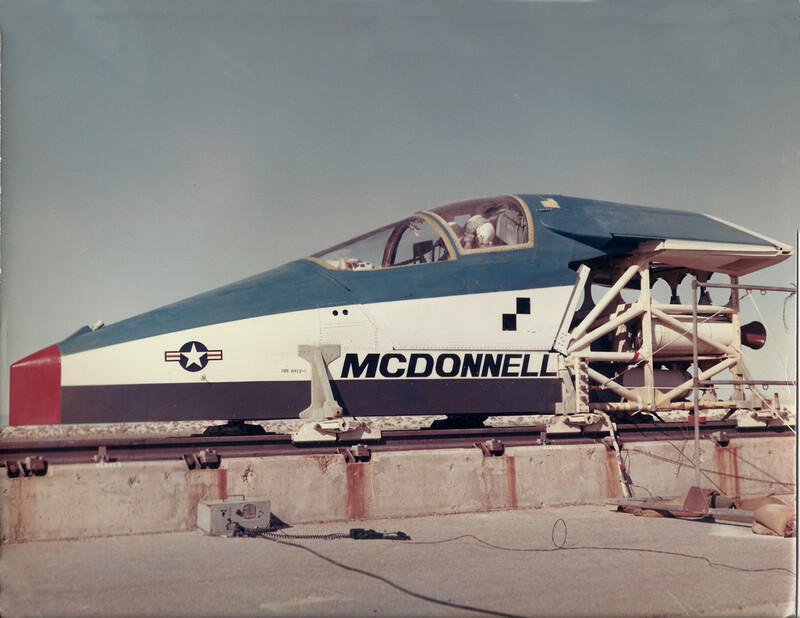 In the early 1960’s, McDonnell won a contract for the ASSET program to study the aerodynamic and thermodynamic properties of re-entry on vehicles. The Aerothermodynamic Structual Systems Environment Tests resulted in six launches aboard Thor missiles. (One is pictured above.) There was a good article in the May 27, 1963 edition of Missiles and Rockets magazine. The 25th F-4 anniversary poster. This is one of my favorites because it has a lot of info on it such as speed records, ship No. 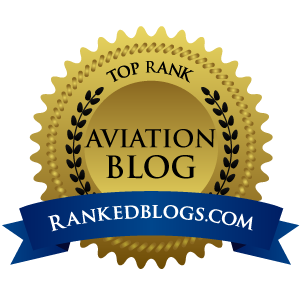 122 and firsts for the aircraft! Click here to see this poster. A colorful CF-18 poster with unit badges. Another wonderful general info and modeling publication from MDC on the F-4 Blue Angel aircraft. There are 1/72nd Markings, station cuts and info. When I was in the F-4 Configuration Control Group in St. Louis and later on in the Engineering Change Order Group, we were updated every quarter with this F-4 Aircraft Configuration Control Chart. This one covers from Oct 1954 to Oct 1976. It is a quick way to see what equipment was added or deleted from block to block on the F-4 aircraft! In February 1963, the Manned Spacecraft Center of NASA published an article in their Space News Roundup Magazine on McDonnell Aircraft winning the contract for building the Mercury and Gemini capsules and the subsequent work that transpired. It is a very good articles with seldom seen pictures. Last December, I had a article on the McDonnell Douglas Company Lineage. Since then, I came across this article about the company logo and “Bug” from the MDC mid 1990’s news letter called the “Team Talk”.